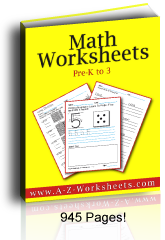 I find that using these decimal Math worksheets make teaching about decimals easy. These worksheets show that fractions divided by their denominators equal percents and decimals. 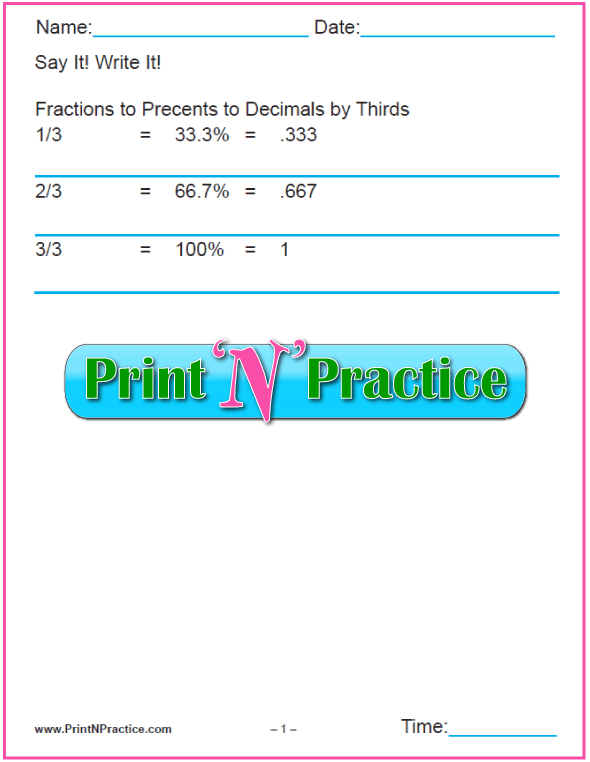 Decimals are simply solved fractions and become easy with practice. Do this several times so children make the association. 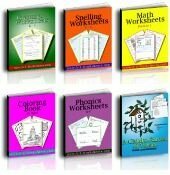 These offer copywork of the most common fraction to percent to decimal conversions that most of us have memorized or know at a glance. They give children a real head start when they realize that 1/4 = .25 = .250 as they are all of the same proportion. Great when you want to teach the relation between division and percents, money, and even science. 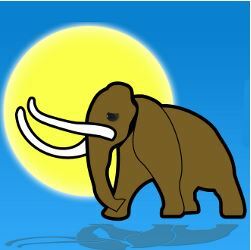 This download has four pages that you can print from screen or download to your own files. See more below. Our fractions decimals percents worksheets teach the concept of a part and then comparing it to both decimals and fractions. Once your students can count to a hundred they can usually grasp the idea of one hundred pennies in a dollar and that the Latin word for hundred was related to the word cent. One penny is one cent. If kids see that the decimals are all parts of ten or one hundred, they can learn about cents, money. Knowing how to use percents and decimals makes practicing the percent and decimal concepts so much easier. Decimals are the foundation of understanding percents as with dollars and cents. Most children are familiar with money and how one dollar is worth one hundred pennies. I like to show the children ten rows of ten pennies to show that one cent is one/hundredth. They usually can see that one percent of a dollar is one cent and the connection with one hundred becomes more obvious. One of my favorite exercises is putting a penny on each of the numbers on the hundreds chart. Some children simply need to see that to make the connection between per hundred and percent. See our money worksheets and video of US coins here. Metric measurements that use the centi- prefix as with centimeter, centigram, centiliter use the same principle as percents in that they are each one one-hundredth part. Centi- is the base word for "percent". An abacus is an excellent at-a-glance way to show one hundred in a way that is easy to show that one bead is one/hundredth of the beads on the rack. Older students who understand multiplication, division, and fractions can understand percents if they understand that the fraction is simply over 100. Division is the foundation for understanding percents. Simply divide by 100 or move the decimal place to the left by two spaces. 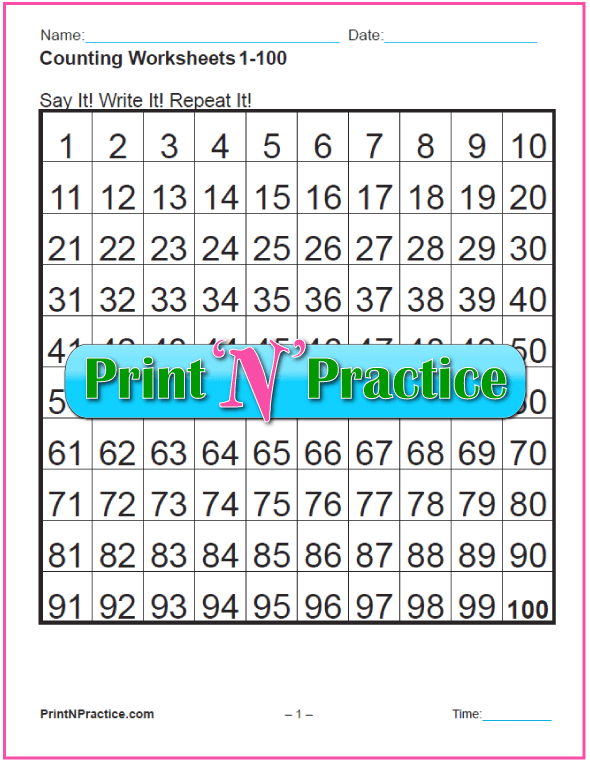 See our counting worksheets for more that is related to teaching the hundreds. Percents are based on cents or parts of one hundred. Division is the foundation for understanding decimals. To teach decimals and percents teach the principles of division and fractions first. Here are related pages. Thank you for visiting PrintNPractice.com.